Group Of Smiling Kids With Raised Hands In Colorful T-shirts Standing Together - Isolated On White. Royalty Free Fotografie A Reklamní Fotografie. Image 31950432. Reklamní fotografie - Group of smiling kids with raised hands in colorful t-shirts standing together - isolated on white. 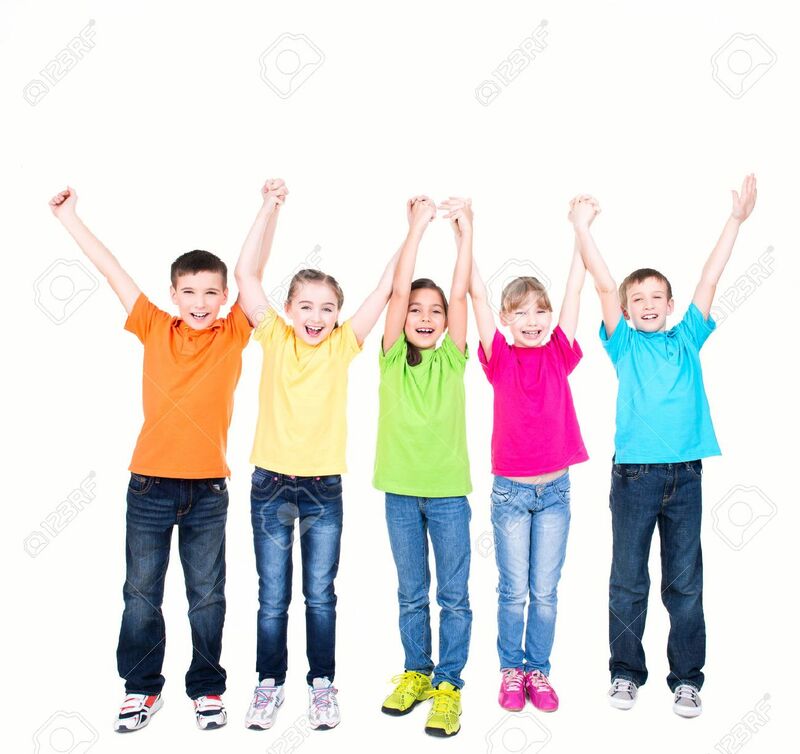 Group of smiling kids with raised hands in colorful t-shirts standing together - isolated on white.